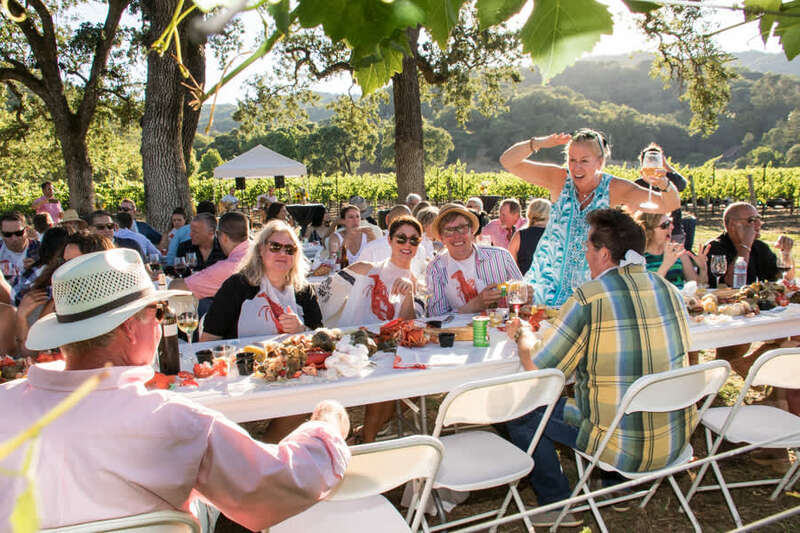 Lobster in the Vineyards is a magical summer evening that takes place at the beautiful private property in Sonoma. 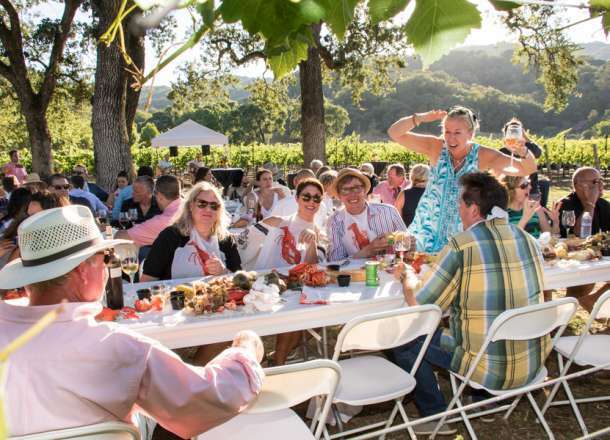 As you sit under the oak canopy and enjoy the beauty of the surrounding vineyards you will enjoy premium wine and beer as you dine on a delicious lobster feast prepared by Lombardi’s Catering of Petaluma. 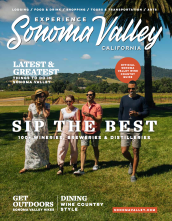 Enjoy the night alongside friends and live music as the sun sets behind the mountains.